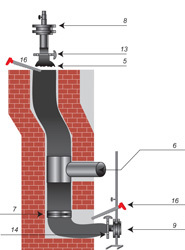 The installation of the FuranFlex liner tube in chimneys is fundamentally different from all other chimney lining procedures. 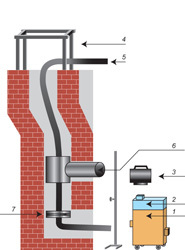 Chimneys can be lined using FuranFlex within a few hours, instead of the several days using traditional methods. 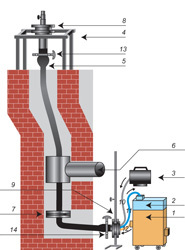 Using this procedure even chimneys that cannot be lined using any other procedure or can only be lined by demolishing the chimney wall can also be lined using this procedure. 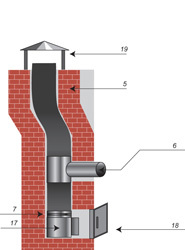 At the same time finished FuranFlex liner tubes are more durable and safer than the materials used for traditional chimney lining. 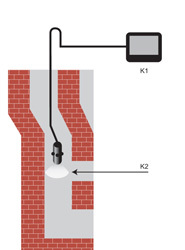 The FuranFlex procedure has one disadvantage, using this technology requires specialist skill and experience. 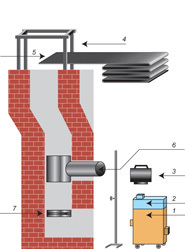 Below we provide a quick insight into the steps of installing FuranFlex. 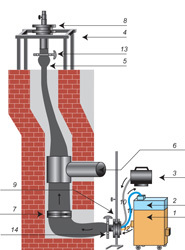 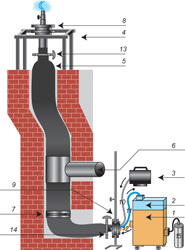 Many different types of boiler and chimney exist so below we describe the simplest lining task in the case of a medium-sized, natural draft, distorted chimney.